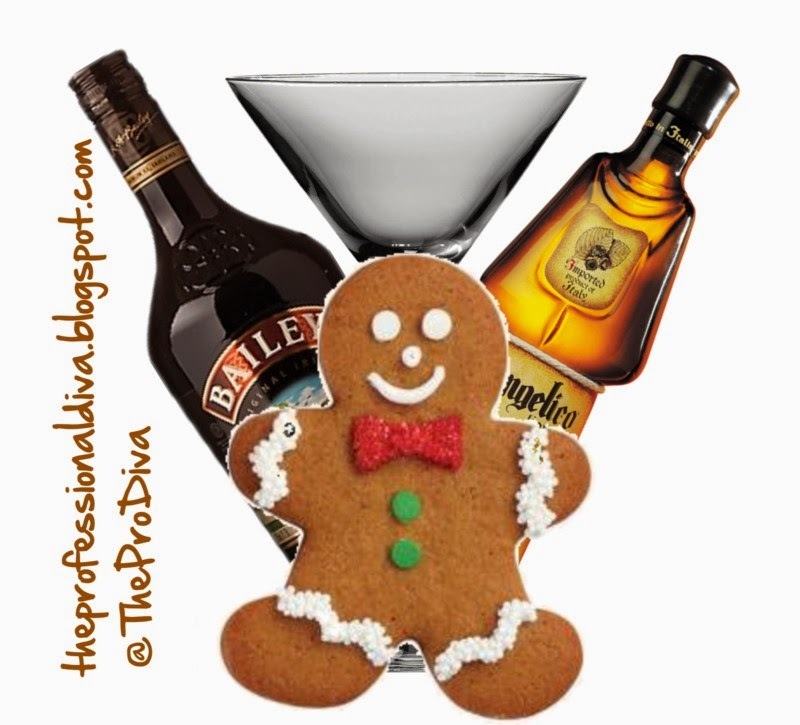 THE MARTINI CHRONICLES: Martini Thursday....Another Gingerbread Cookie Martini! Martini Thursday....Another Gingerbread Cookie Martini! It's December 5th...20 more days til Christmas...and The Pro Diva has not done one lick of shopping...none at all! Should I be worried? While many of you took full advantage of Black Friday, Small Business Saturday, and Cyber Monday, I failed to do so. What I did manage to do, however, is send a recipe for a Gingerbread Cookie Martini to a good friend of mine to tryout before sharing with you all. The recipe is a combination of two different Gingerbread Cookie Martini recipes, and she was more than willing to help me out...I mean, I didn't have to beg her or anything. According to my friend, the recipe was delicious! And so, it is ready for me to share with you all on the first Martini Thursday of December! Just in time for the holiday season, I present to you the Gingerbread Cookie Martini. It's a different recipe from the martini I posted last week, so don't forget to try this one! Enjoy! 1. In a martini shaker, combine Vodka, Gingerbread, Bailey's, Frangelico, and Ice. Shake! 3. Garnish with a cinnamon stick. And your done! Happy shopping! And Drink Responsibly!